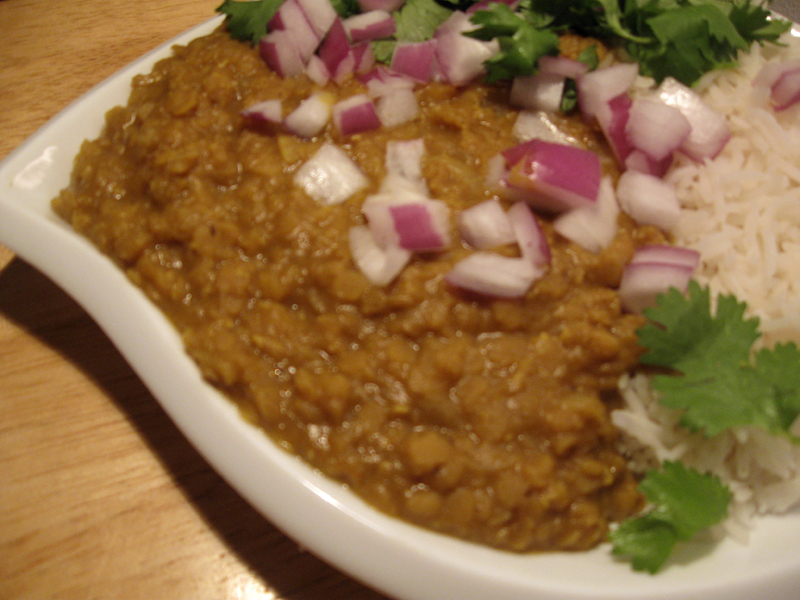 Made this recipe off a red lentil dhal recipe of Michael Smith's. It is easy, delicious, and healthy. What a great way to make lentils. If you eat it with some basmati rice, it is a full meal with everything that your body needs. Eat it with some cilantro and chopped red onion for some freshness and crunch! 1. Cook basmati rice in a pot, or rice cooker. Follow the directions on the package of your rice. Mine is usually 1 part rice, 2 parts water, a little salt, and 8-10 minutes simmering. 2. Put butter into a medium sized pot, and melt it down. Toss in one chopped onion and cook the onion down so it starts to caramelize. This will help add sweetness to your dhal. Stir in your spices (cumin, curry powder, cayenne, etc) in with your onions and cook for 2-3 minutes. This will reinvigorate your spices. Add the lentils, water and ginger to the pot. Add brown sugar if you like a touch of sweetness, but don't add it if you want to make it a little healthier. 3. Bring the pot to a full boil, and then reduce heat to medium to maintain a simmer. Continue cooking for about 10 minutes until lentils are soft. 4. Spoon lentils over rice. Garnish with cilantro and red onion if you wish.